2) Tell us about them in your own blog post, in a comment on this post, or in a Facebook Status post. Please leave a comment on this post if you write your own post. I tried so hard to be a good genea-boy again this year. I worked speaking all over Southern California, online, and teaching at OASIS, serving my local societies, editing and writing my society newsletter and over 900 blog posts, participating in some Zoom webinars, attending two genealogy conferences and several all-day seminars, watching webinars, and helping several friends and colleagues with their research. In addition, I have added more names, facts, notes, media and (especially) sources to my database. Thank you for last year's gift - a Newspapers.com subscription; that was great, I've used it all year ... but you didn't bring me the other things I asked for. Was I a bad genea-boy, or maybe you thought I had enough, or you were out of the other things. I'll ask for them again! * A genea-robot that can work 24 hours a day on writing my blog posts and getting my genea-piles organized - that is so boring and there is so much to do ... but a robot would not have to sleep or eat, drive Angel Linda or even spend time with her (I promise!). Maybe I could even train it to write quality Find A Grave and census source citations. Or search Ancestry, MyHeritage, Findmypast and FamilySearch for new ancestral records. * That Ancestry indexes their family tree profiles whether they have an Ancestry source or not, that all the search features work flawlessly, and provide all of their source citations to Evidence Explained standards. I also wish that they would fix the errors in their big tree which we can't see, but is used for the We're Related app and potential ancestors. Also, that AncestryDNA provides a chromosome browser so we can triangulate matches better. * That FamilySearch makes more microfilmed collections available as digital microfilm available from home. Also, that they make adding Source information to person profiles in Family Tree easier. * That MyHeritage provides their "Theory of Family Relativity" Big tree soon, and continues to enhance the MyHeritageDNA product. 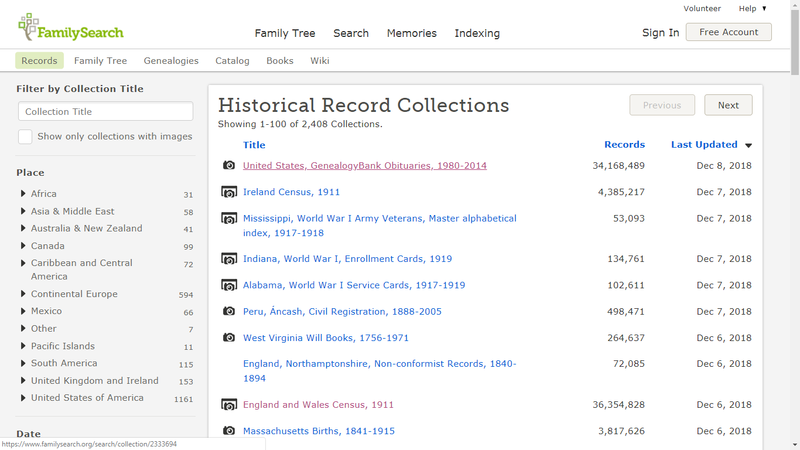 * That Findmypast will add more USA and Canada record collections, and create the interface for their World Tree compatible with Living DNA results. 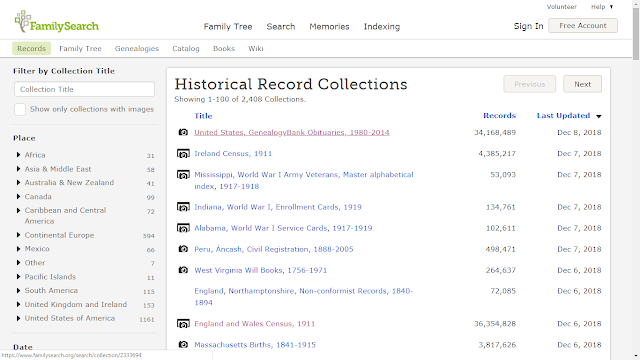 * December Update: GenealogyBank Just Added New Content from 79 Titles! * Fisher’s Top Tips Podcast: #025 – What’s In A Name? In Some Cases… Everything! * The In-Depth Genealogist YouTube: Meet Team Black, and Cousins: Marti and Shannon. Did you miss the last Genealogy News Bytes - 3 December 2018?